Unlike other olive oils that employ chemical processing in their manufacture, Jardin de Pedrissa extra virgin olive oil is extracted directly from olives that are in perfect condition using solely mechanical procedures. We harvest and select by hand in the traditional manner. 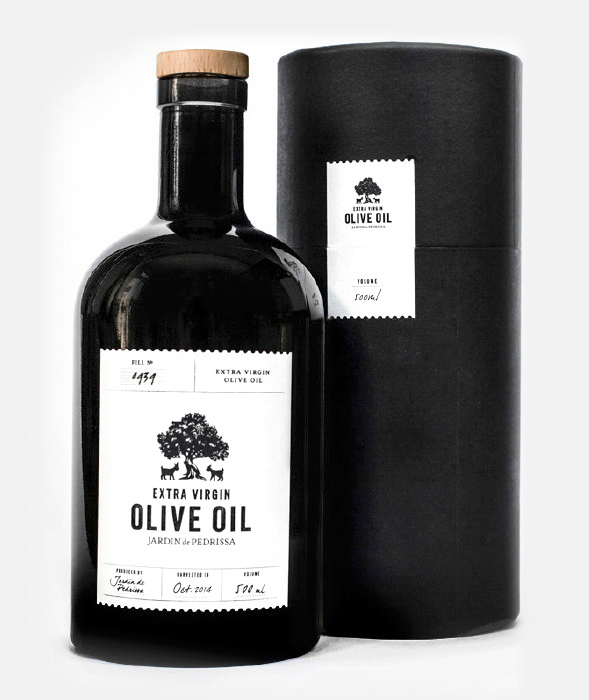 Its medium fruitiness harmonizes perfectly with its bitterness and sharpness, making this a highly complex oil with a vivid aroma reminiscent of fresh cut grass, green tomatoes and artichokes. Dark glass helps maintain the stellar quality of the oil and the simple yet refined packaging complements its impeccable taste. Produced in very limited quantities each year.